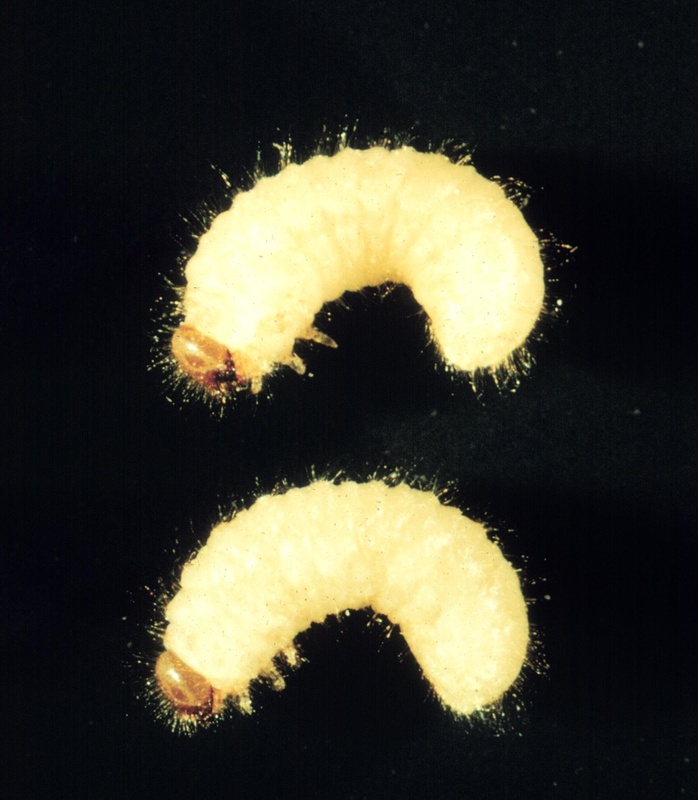 When examined without the aid of a microscope or field magnifier, this pest of stored products can easily be misidentified as a cigarette beetle. The drugstore beetle is similar to the cigarette beetle in appearance but is slightly larger, more elongate, and has distinctly striated wing covers. The last three segments of the drugstore beetle antennae are shaped somewhat like a saw blade. When at rest, this beetle’s antennae and legs are pressed to its body, which enables it to go undetected without closer examination. 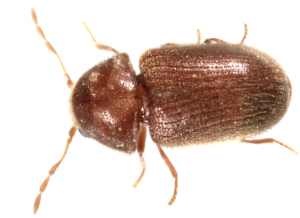 It is cylindrical in body shape, is brown in color and is about 1/10 to 1/8 inch long. Its food is even more varied than that of the cigarette beetle, and it is said to feed "upon almost anything except cast iron." Drugstore beetle eggs are laid singly in its food source. The larval period of this beetle can last from four to five months and the pupal stage lasts from two weeks to 18 days. The complete life cycle of the drugstore beetle takes about 7 months. Its fondness for feeding on bread is why it was given the Latin name paniceum, but as we mentioned earlier, this pantry pest will feed on practically anything. The different products in which drugstore beetles have been found are many: strychnine, belladonna, aconite, strychnine-laced wheat, flour, breakfast foods (cold cereals, hot cereals, pastries, grits), meal, red pepper, oatmeal and spices, just to name a few! There have even been reports of this beetle sheet lead, tin foil and wooden game board pieces. You must inspect all food sources for signs of drugstore beetle infestation. Food that has been infested should be discarded. 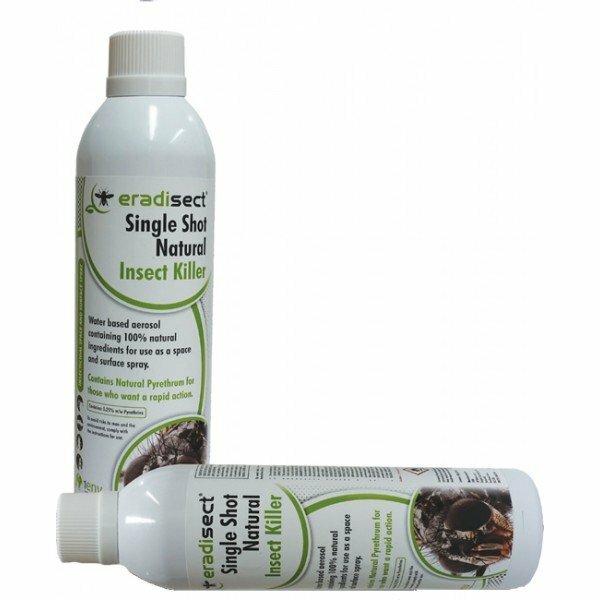 Once you have removed or sealed off all food sources, a thorough vacuum cleaning of the pantry and indeed the entire home can effectively help get rid of drugstore beetles. The purpose of the vacuum is really to remove all spilled food sources that may still have drugstore beetle eggs present.